Base Layer : 5cm layer of 85 / 15 Duck Feather / Down filled lower case. Top Layer: 2cm layer of 100% European Duck Down. An exceptional topper, guaranteed to help provide a deep, restoring sleep. 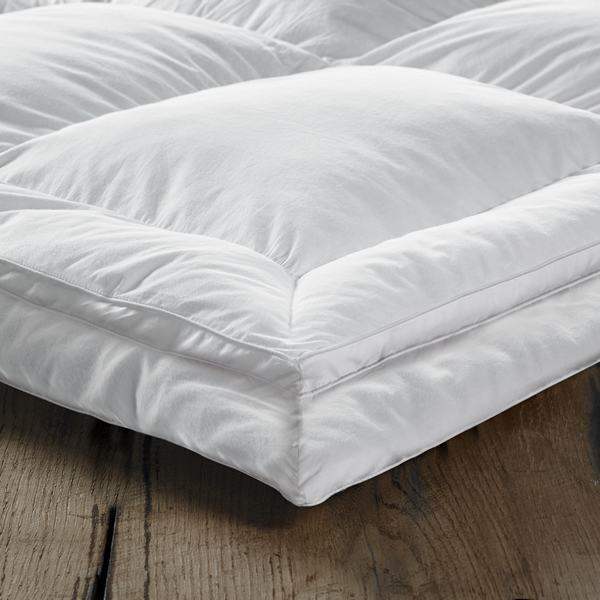 This topper is not only super soft to sink into but also provides great moisture and temperature control, ensuring you are comfortable all night Metric. The feathers offer excellent temperature and moisture control. 233 thread count cotton casing.